Telena Nelson, Vice Speaker of Guam, decided to withdraw her Bill 33 which aimed to provide the Guam Visitors Bureau with the authority to make decisions on the celebrations of the75th Liberation Day. This happened only a few hours after Governor Lou Leon Guerrero shared a firm stance on the matter, saying that she prefers mayors to be left in charge of the events. In addition, the Governor reiterated her support for offering games of chance, which also include controversial casino-style games, at the carnival celebrating the Liberation Day. Vice Speaker Telena Nelson, however, refused to change her position on Bill 29 which seeks to allow games of chance to be offered at this year’s celebrations but has so far faced fierce opposition in Guam. She explained that the decision for Bill 33 withdrawal came as an act of compromise and respect for the mayors, after careful consideration of the matter. She said she has been thankful for the mayors’ dedication and encouraged them to continue to engage the community in the festivities’ preparations. This happens only a few days after Senators James Moylan, Jose Terlaje, Joe San Agustin and Wil Castro introduced their bipartisan Bill 29 which provoked mixed reactions. For the time being, the controversy over Bill 29 continues. As mentioned above, if passed, the piece of legislation would provide the Mayors with the authority to set rules and regulations for games of chance at the upcoming Liberation Carnival. Vice Speaker Telena Nelson, however, said that was gambling and she was opposed to that. Today, the Guam Congress Building is set to host an informational hearing for Bill 29. 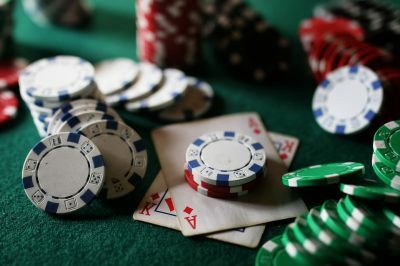 At the time when Vice Speaker Nelson introduced Bill 33, she reminded her colleague senators that Guam’s voters rejected five gambling legalization attempts since 2000. Governor Lou Leon Guerrero, who just marked her first month on the job, expressed her disagreement with what she called “organized casino” for the island of Guam but shared that she does not find anything inappropriate in casino-style games to be offered within the annual Liberation Day Carnival only. Reportedly, mayors refused to host the carnival if games of chance are not allowed, saying that the games would generate the funds necessary for the Liberation Carnival to take place. At the time, Nelson urged them to have a discussion on other ways of funding which do not include the permission of gambling activities. 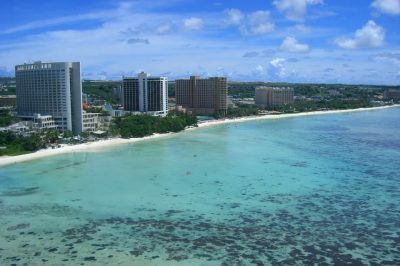 Now, she introduced a new bill which is set to provide an alternative source of funding for the festivities, so that Guam mayors are not forced to rely on casino-style games for the necessary funding. If Bill 43 is passed, an amount of $500,000 would be redirected from GVB’s Rainy Day Fund to Guam’s Mayors’ Council for the purpose.